If you want to dive in deeper to Adwords, then check out my Google Adwords Course from LinkedIn's Lynda.com here. And here is an additional tip to make sure you are ready to re-connect with the people who love you the most on YouTube! 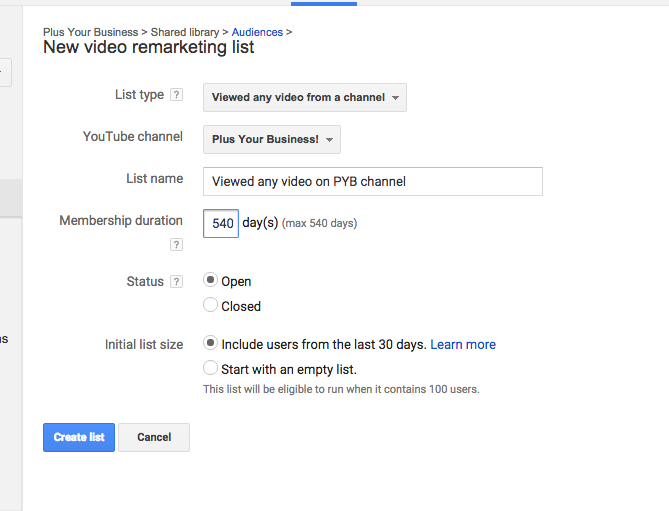 If you have uploaded videos to YouTube, or down Hangouts-on-Air/Live events that are getting views, make sure you’ve started to build a list in Adwords for this audience. These are people engaging and you want to make sure you get their attention with your future offering, using Remarketing. If you don’t start now you will only be able to ‘go back’ 30 days of activity to build the list. But if you start now you could build it for up to 540 days, and keep it active too (i.e. new people added as you go). This is how you get set up. 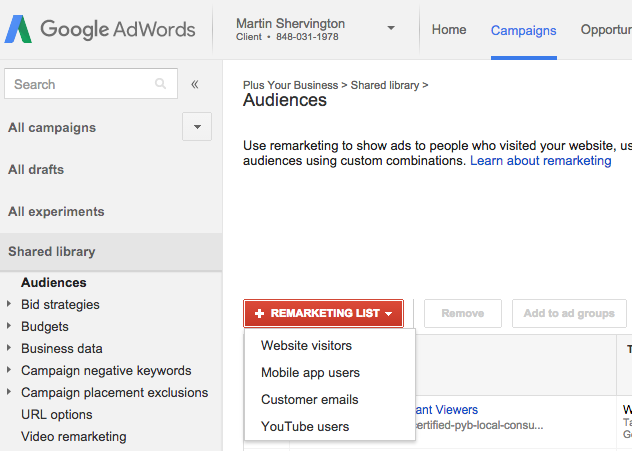 And don’t worry, you won’t need to spend anything in Adwords - just build the list, ready to go. 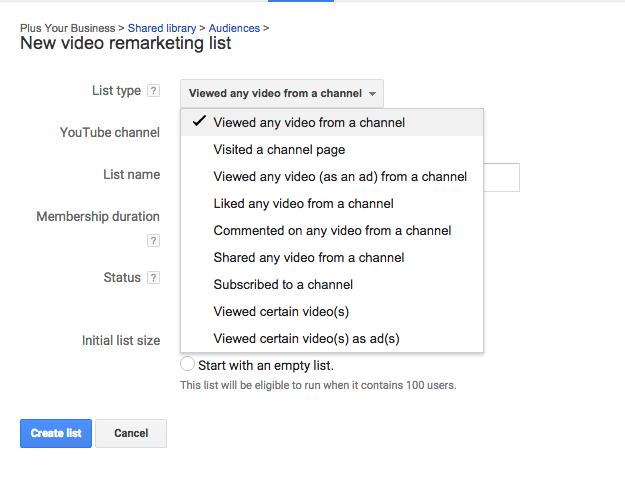 If you click into that list, you will be able to gain insights. 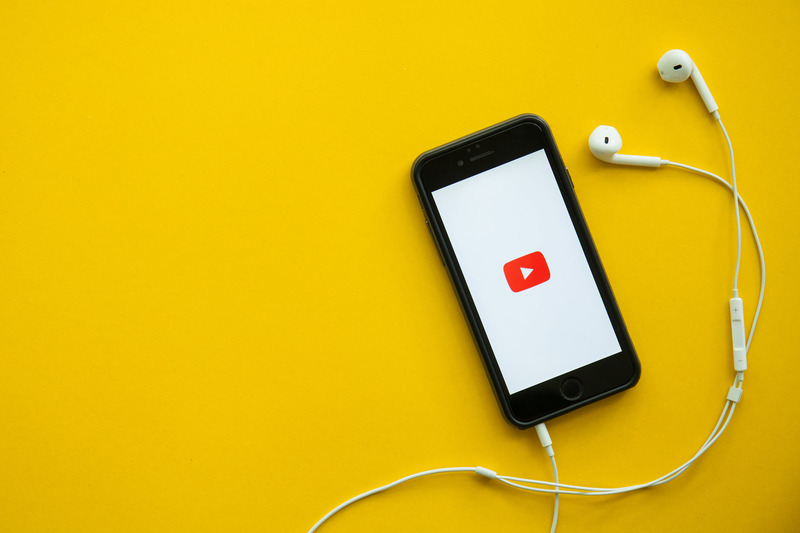 YouTube audiences are often highly engaged with your content, so this gives you an opportunity to build the relationship much deeper through targeted Adwords spend. Contact us to discuss how we can grow your business with Adwords.